Let us offer specials prayers to stop gun violence in America. We pray for all those who are being wounded or killed by gun violence in this country! PEACE POLE photo from May 23, 2016. 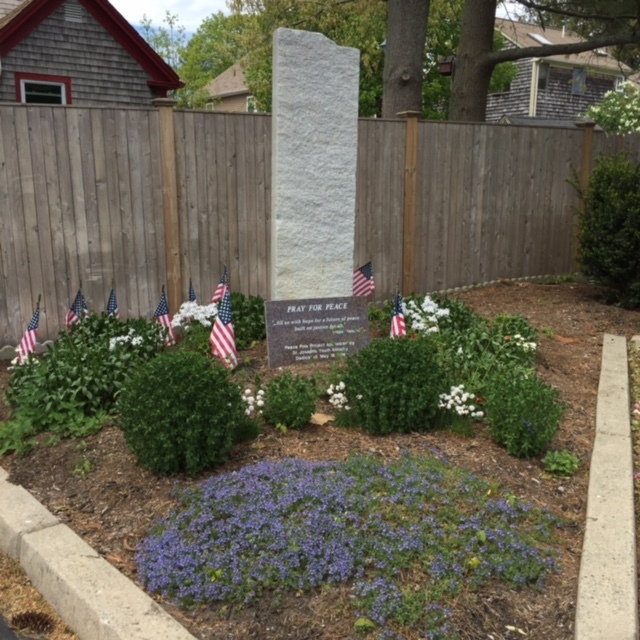 Thank you to Cissy Watson who is a gardener and keeps the red, white and blue flowers flourishing! We hope to erect a Flag Pole soon!